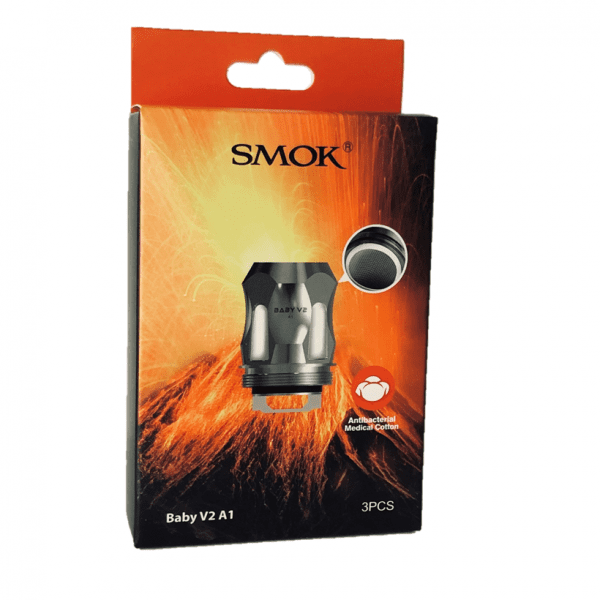 The SMOK TFV8 Baby V2 is the spiritual successor to the still very popular TFV8 Baby Beast. For many people, the original Baby Beast always had the perfect balance between a reasonable size and coil cost, good vapor production and conservation of one’s e-liquid supply. The TFV8 Baby V2 makes so many positive changes to the design of the original TFV8 Baby that it’s difficult to imagine anyone not wanting to upgrade — and if you’ve already made the plunge and bought SMOK’s latest creation, you’re going to need some SMOK TFV8 Baby V2 coils. Grab those coils here. We guarantee that our coils are always 100-percent authentic and direct from the manufacturers, and we ship all orders for free regardless of size. 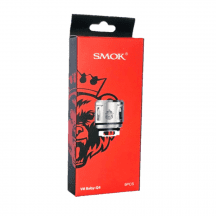 You can always count on SMOK to release vape tanks with flashy looks, plenty of coils and great vapor production. Unfortunately, you can also count on SMOK to give their tanks confusing names. So, we’ll start by setting the record straight: SMOK TFV8 Baby V2 coils are not compatible with SMOK TFV8 Baby coils. These coils work only with the TFV8 Baby V2 tank — and not with any other tank. With that potential bit of confusion out of the way, the SMOK TFV8 Baby V2 is the spiritual successor to the still very popular TFV8 Baby Beast. For many people, the original Baby Beast always had the perfect balance between a reasonable size and coil cost, good vapor production and conservation of one’s e-liquid supply. The TFV8 Baby V2 makes so many positive changes to the design of the original TFV8 Baby that it’s difficult to imagine anyone not wanting to upgrade — and if you’ve already made the plunge and bought SMOK’s latest creation, you’re going to need some SMOK TFV8 Baby V2 coils. Grab those coils here. We guarantee that our coils are always 100-percent authentic and direct from the manufacturers, and we ship all orders for free regardless of size. 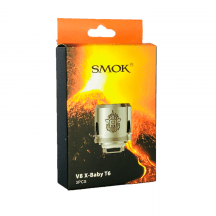 What’s Special About the SMOK TFV8 Baby V2? 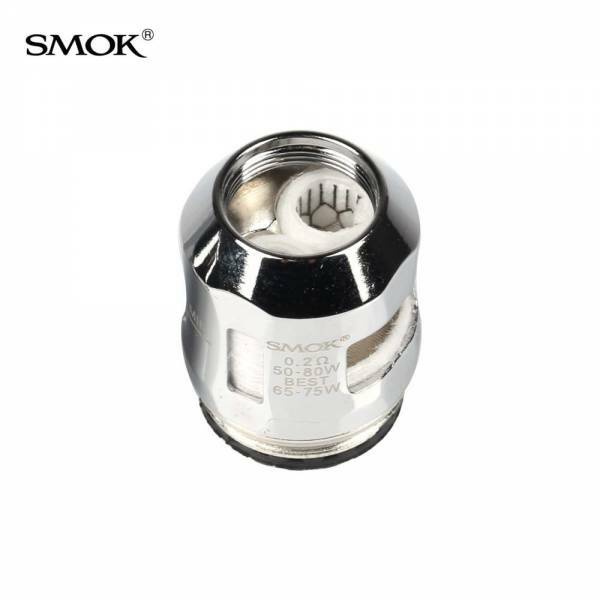 One of the biggest complaints about the original SMOK TFV8 Baby was that it had a fairly small glass enclosure for the amount of vapor it produced. 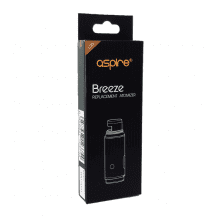 The TFV8 Baby V2 upgrades the capacity from 3 ml to 5 ml. The top hardware of the TFV8 Baby V2 has a release button for easy opening. When you swivel the tank open, you’ll find the leak-stopping silicone gasket mounted to the underside of the mouthpiece — not around the filling hole — for easier filling. The TFV8 Baby V2 easily accommodates glass droppers with no spilling. The TFV8 Baby V2 is built from the ground up to utilize mesh coils for the richest possible flavor and best vapor production. 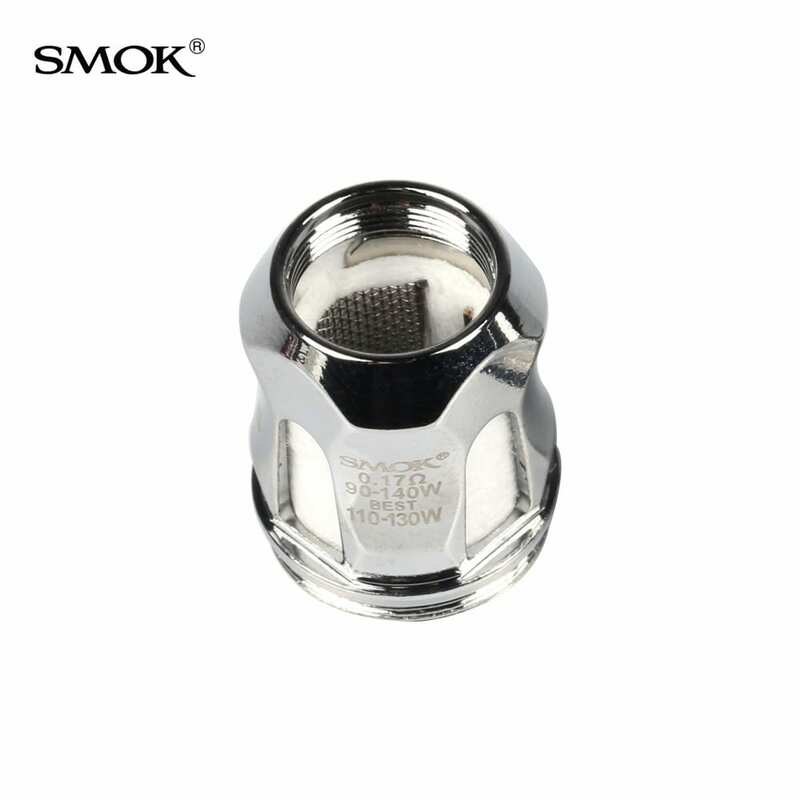 For the new TFV8 Baby V2 coils, SMOK has switched from standard organic cotton to a higher-quality medical-grade cotton with antimicrobial protection. The new cotton resists bacterial growth. When comparing the TFV8 Baby vs. the Baby V2, you’ll find that SMOK’s newer tank has much larger airflow holes to encourage improved vapor production and help keep your coils cool. A1 Coil: Single mesh coil with a very wide center hole for optimal airflow. 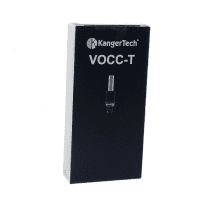 Suggested operating range of 90-140 watts. 0.17 ohm. A2 Coil: Dual mesh coil for superior vapor production. Suggested operating range of 70-120 watts. 0.20 ohm.